Chocolate fondant, meet your match! Because while we are all fans of you, it’s only because, until now, we had not been introduced to your sexier, rich cousin, the caramelised white chocolate version! And man oh man is this good. You will never go back to the dark chocolate version again! And no it’s not because I have a mild obsession with caramelised white chocolate – which I totally do – I’ve made hot chocolate with it, drizzled it over cakes, and that’s only if I’m not eating is straight as-is. 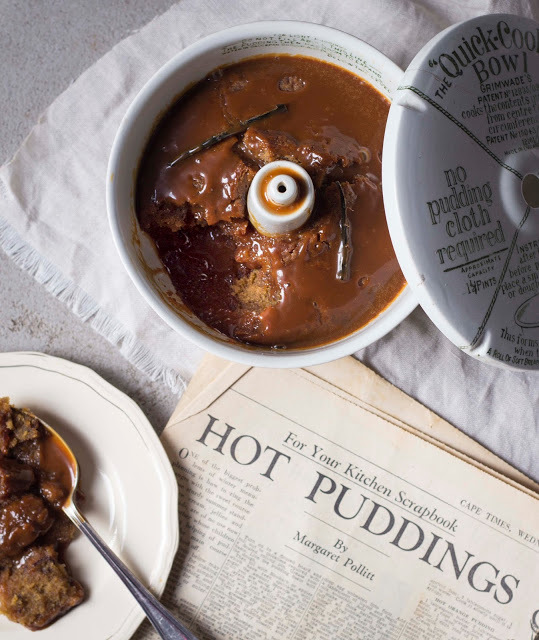 But there’s a reason this pud featured in last month’s Essentials Magazine – because I need to shout the recipe from the roof tops! Btw, from now until December, I’ll be taking over a page of their magazine each month to do a Kate Bakes series so make sure to get the mag each month for a sweet fix! 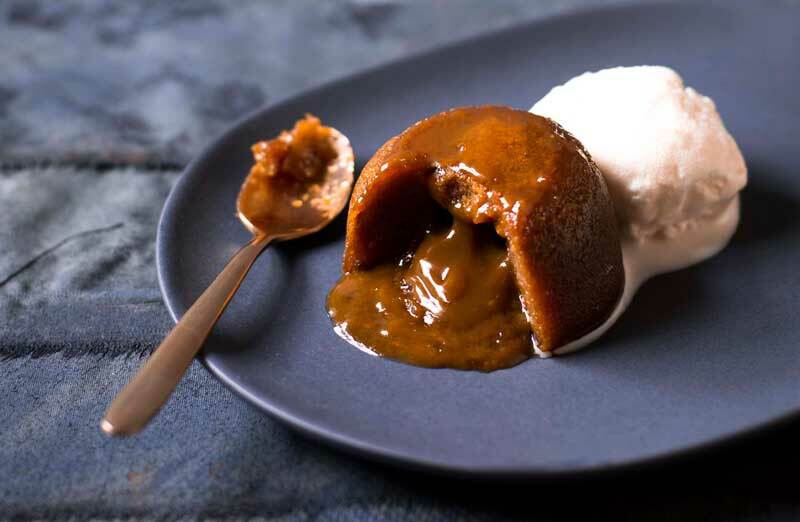 Unlike conventional lava puddings, this salted caramel version has a nugget of the golden white chocolate inside which takes the guess work out of overbaking them – because there is nothing more disappointing than digging into a lava pudding without the lava! 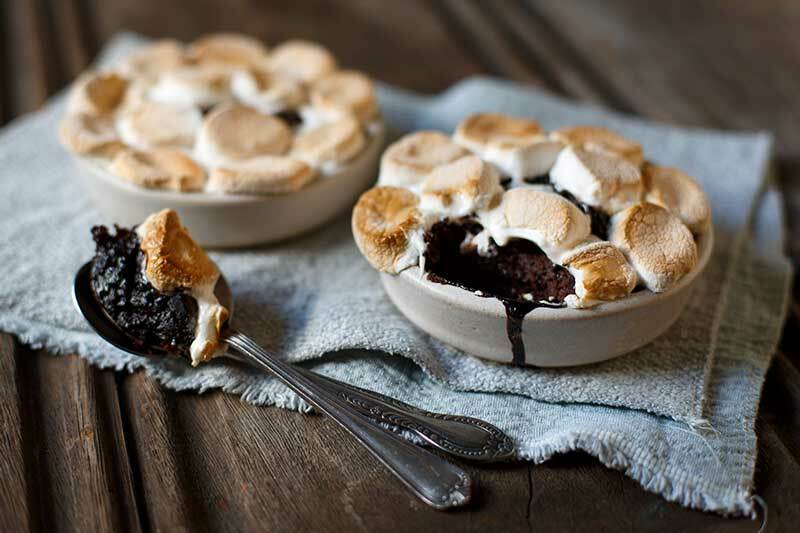 So bake up a batch of these for friends (or just yourself) and put the ‘win’ in winter! To make the caramelized white chocolate centre’s: arrange the broken up white chocolate on a baking sheet and drizzle with the oil. 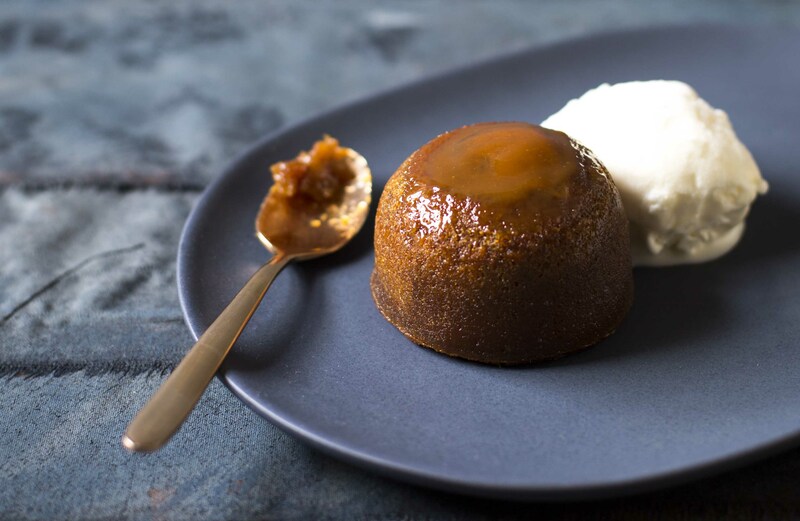 Place in an oven preheated to 150C for 40-50 minutes, stirring every 10 minutes until it reaches a rich caramel colour. If the chocolate is lumpy, simply blend it in a food processor or pass it through a sieve. If it’s too thick, add a little more oil until it reaches melted chocolate consistency. Heat the cream to just below boiling point then pour over the caramelized chocolate and stir until smooth. Pour into a shallow container, sprinkle with the salt and allow to set for 1-2 hours. Roll teaspoonfuls of the mixture into truffles. Chill in the refrigerator to set. Prepare 6 dariole moulds by greasing them with a good coating of cooking spray. Set aside. Scald the cream by heating it to just below boiling point. Place 150g of sugar into a pan and heat gently to caramelize. One it reaches a rich golden caramel colour, add the warm cream and swirl gently to combine. Add the butter and swirl to combine then set aside to cool. Preheat the oven to 180 degrees celcius. Once the caramel mixture is cold, gradually whisk in the eggs little by little. Next, add in the remaining sugar and finally whisk in the flour. Fill the prepared dariole moulds halfway with the mixture, insert one of the caramel truffles and top with more pudding mixture so the mould is filled ¾ of the way. 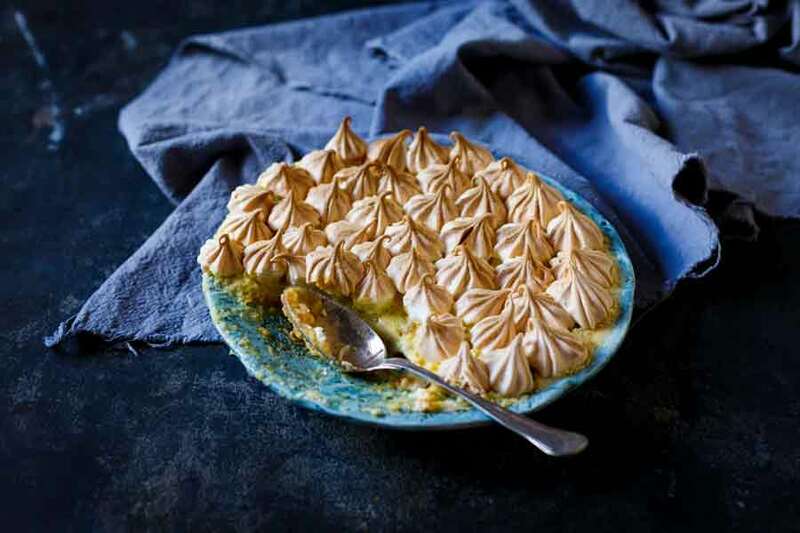 Bake in the preheated oven for 7-8 minutes until a deep golden colour and the tops are springy – the pudding should still be a little wobbly in the middle. Remove from the oven and allow to cool for 1 minute before unmoulding. 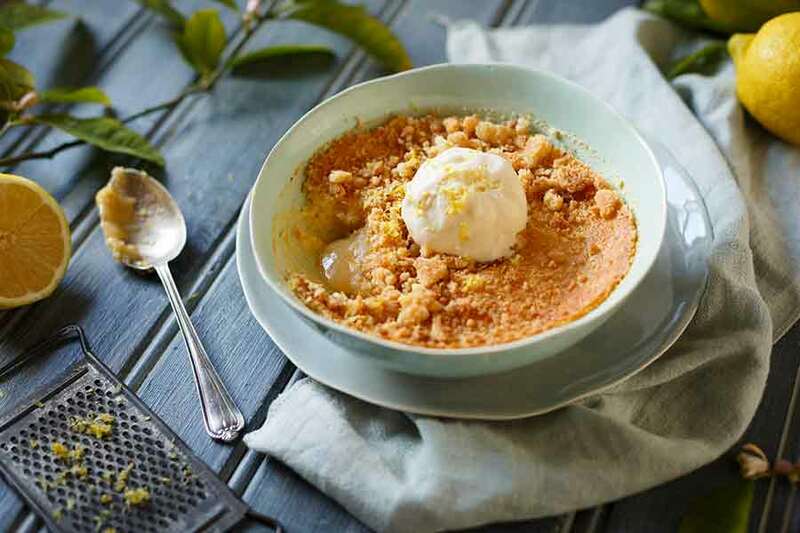 Serve with a scoop of vanilla ice cream or softly whipped cream. TIP The caramelized white chocolate truffles make a delicious sweet treat on their own – roll them in toasted coconut or crushed up peanut brittle for something special!